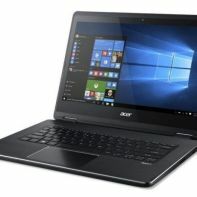 The company Acer announced new computers specially designed games in the last edition of the IFA. 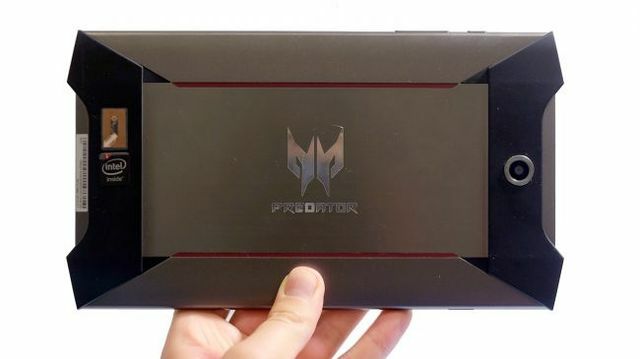 But what we will discuss in this analysis is a tablet, the Predator 8. While it is quite common to find computers with functions of this type, the tablets for gamers are still a relatively unexplored category, except for the Acer Predator 8. It has the usual aggressive design for this type of product and special features like dual engine haptic or four speakers with stereo sound quality audiovisual experience. We tell you all about the Acer Predator 8. 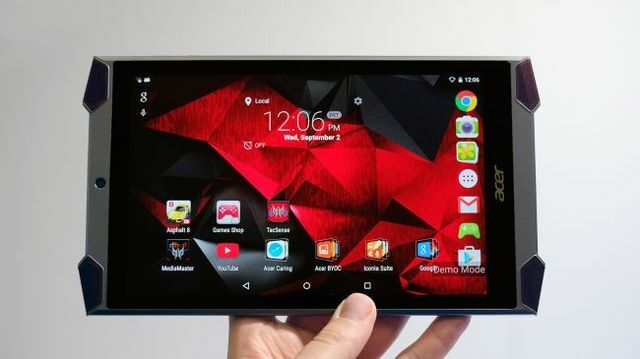 The Acer Predator 8 is placed in the segment of the mini-tablets with an 8-inch screen diagonal and HD resolution (283 dpi). The technology is IPS with Zero Air Gap, improving visibility from the angles and also minimizes reflections to handle outdoors. Acer includes improving Predator Color Blast, which refers to the full range of colors offered NTSC and Predator TacSense, a twin engine haptic responding to taps vibration to make the game feel more real. The design of the Acer Predator 8 does not leave indifferent. Following the aesthetic that appeals to gamers, Acer has opted for very aggressive chassis straight lines, with several pieces in various colors and finishes. 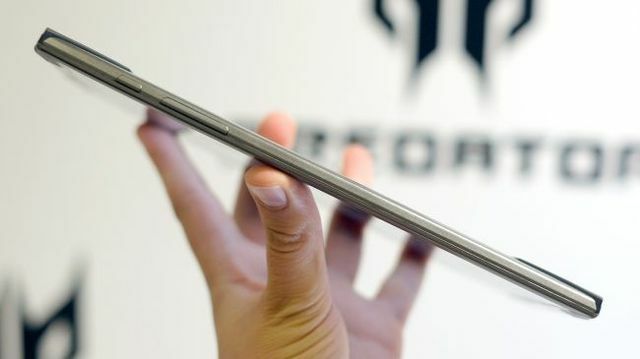 The main material of the tablet, with which it has made the chassis is aluminum and has a brushed metal finish. If you look at the back, they were placed two pieces made of dark gray rubber mat finish to improve grip when we’re playing. In the corners it integrates four speakers have been placed under a red grid that makes the most striking elements. Your profile measures 8.7 millimeters and weighs 350 grams. The camera is not a very important element in a tablet due to its size, and less if we are talking about a tablet for gamers, but despite this Acer integrate two cameras in the new Acer Predator 8. 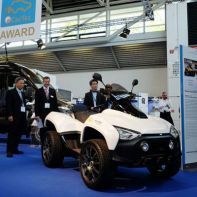 The main is located in the part rear of the chassis and has 5 megapixels. It includes automatic focus, digital zoom of four increases, geo-tagging, panorama mode and other basic features that come in the Android Camera API. At the front comes with a secondary camera for video calls selfies or 2 megapixels, but here the focus is fixed. As we advance, the sound section is particularly role in the Acer Predator 8, a tablet in which the audio is as important as the quality of image-the two keys to enjoy a gamer experience to the task. Integra four speakers distributed in the corners, which adjust the stereo automatically, depending on the position in which we are holding the tablet. 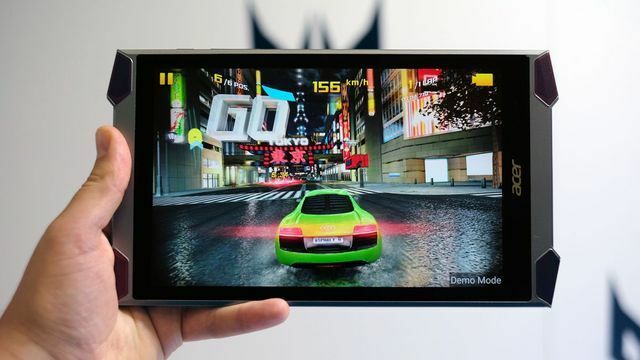 To achieve the performance demanded many of the games that we can use the Predator 8, Acer has included an processor Intel Atom X7 consists of four cores with support for 64-bit. The clock frequency is 1.6 GHz, but can be increased to 2.4 GHz when needed. 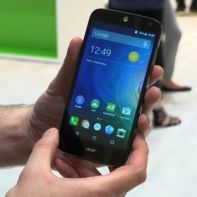 It includes Intel HD graphics eighth generation and RAM is 2 GB, a figure too tight for such equipment. Acer includes an internal memory of 64 GB to store all your games or any type of file, which can be expanded further if you lay hold of a MicroSD card (128 GB maximum). 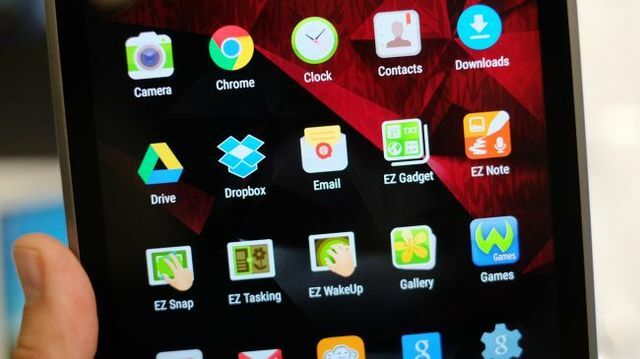 The Acer Predator 8 comes standard with Android 5.1 Lollipop and the whole package of services that Google provides as YouTube, Gmail, Google Drive and Google Play Store Store to download more games. It includes popular Gameloft Asphalt 8 credits 320,000 (equivalent to about 40 euros) and the Predator MediaMaster function allows you to configure audio and video equipment. The Acer Predator 8 is only available on an issue with WiFi connectivity. The wireless port supports dual-band networks and has the MIMO system to provide a more stable without any cuts in the middle of a game signal. It also features Bluetooth, GPS antenna, a MicroUSB port and minijack for headphones. Currently there is no information about the battery and its duration. Acer has confirmed that the Acer Predator 8 will be available in our country since December for 400 euros, 50 euros more than what they said at IFA in Berlin in early September. It comes from the hand of a number of optional accessories, including bags, cases, styluses, SlimPort adapters and headphones. The Acer Predator 8 plays in a league in which, except for the NVIDIA Shield, has almost no competition. 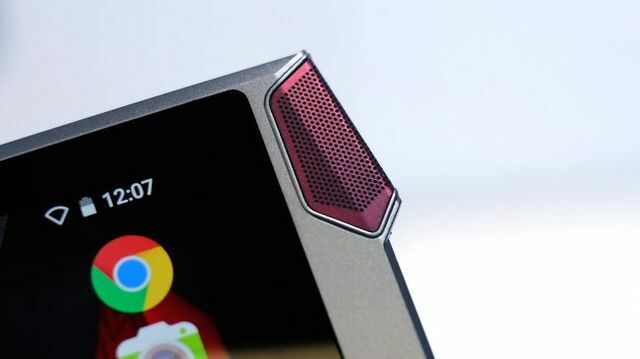 The design makes it clear to whom it is addressed this tablet, a detail that could appeal to the gamers but also could push back other potential buyers. The display has a compact size for comfortable handle with both hands and your speakers promise a quality audio experience. The chip Intel Atom X7 offer needed to move the games load more graphical power, but it would not hurt to have integrated 3 or even 4 GB of RAM.